A 501(c)(3) tax-exempt organization is a type of non-profit that is dedicated to the charitable purposes set forth in section 501(c)(3) of the Internal Revenue Code. This includes organizations whose purposes are charitable, religious, educational, scientific, literary, testing for public safety, fostering national or international amateur sports competition, or preventing cruelty to children or animals. If all requirements are met, the charity will be exempt from paying corporate income tax, although the Form 990, an informational tax return, must be filed annually. The charity's organizing documents must restrict the organization’s purposes exclusively to exempt purposes. A charitable organization must not be organized or operated for the benefit of any private interests, and absolutely no part of the net earnings may inure to the benefit of any private individual. Additionally, the charity may not attempt to influence legislation as a substantial part of its activities, and it may not participate in any campaign activity for or against political candidates. All assets of a 501(c)(3) non-profit organization must be permanently and irrevocably dedicated to an exempt purpose. If the charitable organization dissolves, its assets must be distributed for an exempt purpose, to the federal, state or local government, or another charitable organization. To establish that charity's assets will be permanently dedicated to an exempt purpose, the organizing documents must contain a provision ensuring their distribution for an exempt purpose in the event of dissolution. If a specific organization is designated to receive the charity's assets upon dissolution, the organizing document must state that the named organization must be a section 501(c)(3) organization at the time the assets are distributed. To apply for tax exemption under section 501(c)(3), the charity must file Form 1023 with the IRS, along with supporting documentation, including organizational documents, details regarding proposed activities and who will carry them out, how funds will be raised, who will receive compensation from the non-profit, and financial projections. 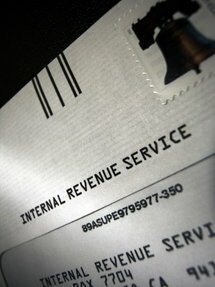 If approved, the IRS will issue a Letter of Determination. If you are a new or existing charitable organization and would like to discuss your options in obtaining tax-exempt status, please do not hesitate to contact Westchester County business law attorney Claudia Pollak today at (914) 908-6220.